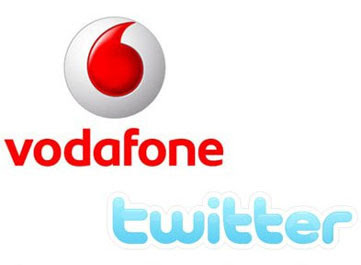 Telecom king Vodafone today partnered with Twitter to offer subscribers free access to the twitter website for three months. Under the partnership, Vodafone subscribers will be able to access and tweet without incurring data charges when they visit the Twitter website or the official Android app for three months. Vodafone India Chief Commercial Officer Vivek Mathur said "Our partnership with Twitter is another step in our ongoing endeavour to make mobile internet more fun, smart, engaging and easy. The idea is to educate current and potential users on how internet can add significant value to them." Also Mathur said, "We have about 41 million Internet users and we feel this proposition will be relevant to at least half of them." Twitter allows users to share stories, ideas, opinions and news in 140 characters long messages. Many operators, including Airtel, Vodafone and Reliance have already slashed usage charges to get more subscribers to consume data. Last week, Vodafone launched its 'Be Smart' mobile internet, under which it will reach out to customers talking about popular mobile applications like videos and music, navigation, social networking, online gaming and live stock market updates.